The CAT excavator is engineered for simple routine maintenance and high productivity! 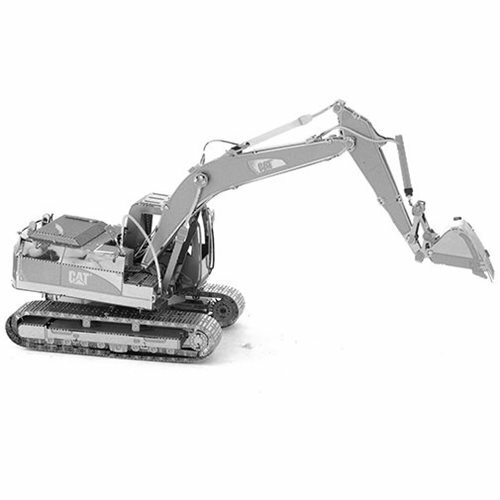 Now you can build your own at home with this CAT Excavator Metal Earth Model Kit! This amazingly detailed model starts as 3-sheets and becomes an amazing 3-D model. Use the easy-to-follow instructions included with the sheet to pop out the pieces, bend the tabs, and connect them at the attachment points. Collect them all! No glue required. After assembly, this kit measures about 4 1/2-inches tall x 1 1/2-inches long.